We are thrilled to be interviewing Jon Leland from Kickstarter. Jon Leland is the Senior Director of Strategy and Insights at Kickstarter, the world’s largest platform for funding creative projects. He leads their Environmental Impact Group which is tasked with meeting their public benefit commitments to reducing the impact of their operations and ecosystem on the environment. Will: Today’s podcast is with Jon from Kickstarter. I was really looking forward to this podcast because we all know Kickstarter and we all know exactly what they do as a crowdsourcing platform. I wanted to know what it was that Kickstarter is seeing within the new entrepreneurs and are people being more sustainable, are people running more environmentally friendly companies? Well, we’ll find out the answers, brilliant, I can’t wait for this show. 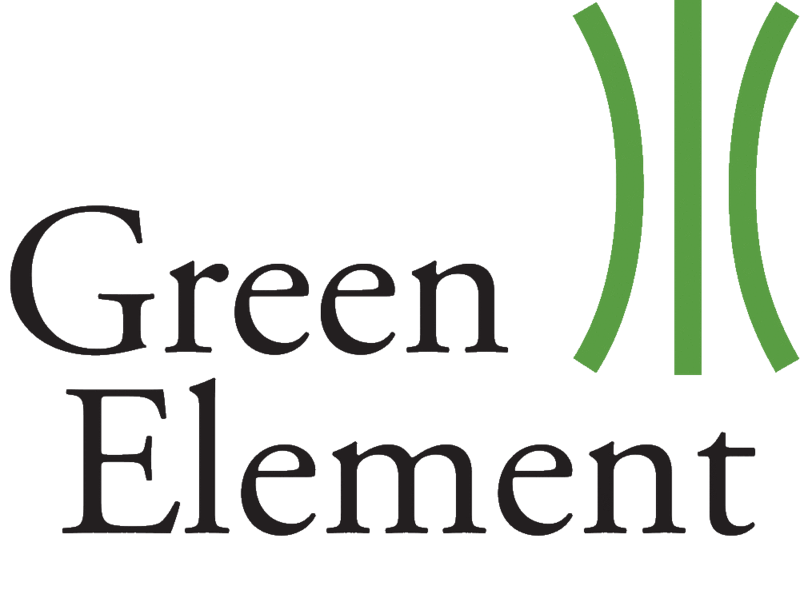 So, Jon, thank you so much for coming on the Green Element show and welcome to the Green Element Podcast. Can you tell us a bit about Kickstarter? We all know about Kickstarter and I’m looking forward to hearing more about it but tell us more about the purpose and who you work with and a bit about that B Corp model that we were talking about before. Jon: Sure. Kickstarter is nearly 10 years old at this point, not everyone knows what it is so I won’t assume everyone that’s listening does. Kickstarter is a crowdfunding platform where people raise money for creative projects spanning from fine art, music, film to new inventions like the Oculus Rift, was originally funded on Kickstarter. Board tabletop games, board games, books, any creative project can be funded on Kickstarter. At this point, we have seen over 3 billion US dollars raised on the platform for creative projects and more than a hundred and twenty thousand projects successfully funded on the platform. It’s a small company relatively speaking, we are a very large and global company, but we’re only about a hundred and fifty people. It was founded with the mission of just helping people bring creative projects to life, is deeply rooted in the value of creative independence for creators and individuals. Providing a pathway for people to make things outside of traditional large corporate structures in interest. The capital that people raise on Kickstarter enables them to make things that otherwise couldn’t get made in any other context, whether that’s a video game about, this is an example, a video game about a man who lost his five-year-old son to cancer and he made a video game about that. It’s a very beautiful work of art, but it’s also not something that any video game publisher is going to finance. It also enables people who don’t have as ready access to capital to raise funding for things and tell their own stories. So, we see particularly a lot of marginalized communities come to Kickstarter to raise money for where they tell their stories and make creative work, whether that’s in film, comics or publishing. Will: I like the fact that you’re wearing a jumper. Jon: Yeah. For us, we see the greater opportunity for our impact to be on how we govern the platform itself because there are so much activity, economic activity and consumer activity that happens on the platform itself and it started from the platform. So, we’ve had several, not just the amount of exchange and production that happens through our platform, but even what that leads to in the end because there are several billion dollars plus companies that have gotten their early start on Kickstarter. So, how can we create an environment where we are incentivizing those projects and those companies to be taking environmental considerations into account. That’s really where we started a lot of our work as a PBC on this front. Will: I’ve subscribed to the Kickstarter newsletter and you promote certain projects over others, but obviously, you can’t promote every single project. Do you promote the more social purpose-driven projects or the environmental project or ones that are changing society in a positive way? Jon: Yeah, it’s not the only consideration, we try to curate with a balance but certainly, if you look at our newsletters and our site, you’ll see that it’s one factor that goes into the equation of what we choose to curate, it’s like a strong factor. Particularly with environmental impact, it’s something that we look to understand and there are a few different types of projects in terms of their environmental impact that we talked about. That’s something we obviously look at in terms of curating and highlighting projects because that’s what we want to see on the platform. Will: Yeah, okay. Would you turn down a project? Say I am going to go and drill loads of oil in my backyard and I’ve worked out a new method that I’m able to get that oil out really quickly and really cost effective. I’ve designed this great new machine and I want to Kickstarter it, I want to go on that platform, do you say no to that? Jon: At the moment, we’re an open platform, so as long as you meet our basic rules you’re allowed to launch on the platform, so we would allow it. We certainly would not highlight it, we would probably un-highlight it. Will: I was trying to think of the worst thing that you could possibly come up with, I don’t think anyone would come up with that because I’m not sure if it would be possible, it probably is. Jon: On one side of it, there are a lot of bad projects that are optimistic about this sort of thing. We sometimes see a lot of prototypes for perpetual motion machines, there’re a lot of people trying to get to free energy through a crazy Kickstarter contraption and those we will reject if people are promising something that’s unrealistic. Will: I remember talking to a News company and we were going to set up a series of going around the world talking to those type of people and watching these things work because it is fascinating how people genuinely think they could get this free motion. I had a director and a producer that were interested in doing a series and we were pitching it to companies to finance it and it never did go anywhere, but I thought it was brilliant. To be able to record and go, it actually does work, but the thought was none of them are actually going to work. Will: So, what would you say Kickstarter’s business superpower was? Jon: Their business superpower. Kickstarter has risen a wave of goodwill and Kickstarter hit at the right time, it was a great idea, it got lucky and it rode a kind of rocket ship to success. That has only been possible through staying true to the core values of the company because at the end of the day we’ve seen other people try to enter the space and two things have kept us in the dominant position that we’ve been in. One is the business model, we made the business model very unappealing for even us almost to be in. 5% as a platform fee is just incredibly low when you compare it to like selling something on Amazon or something like that or on [09:59 unintelligible] which is like 30 40 percent or more. Our platform fees are really low, it wasn’t intentionally done this way, but it’s made it almost impossible for anyone to have a business that crutches on it because it’s a very hard business model get work. We’re hearing from Patreon who has the same fee structure that because they took so much venture capital money that they can’t use this model anymore. The other is that we’ve remained true to our values, our superpower is that because we did not take much venture capital money early on, we’ve been able to remain financially independent. When we talk to independent creators, we talk to artists, we talk to entrepreneurs and we say that our interests are aligned with yours and we want to help support their development, they know that we’re speaking to them honestly about that alignment rather than trying to extract value from users. I think usually, it’s unfortunately frequent where platform technology companies wind up going eventually because the financial pressures of those companies that wind up being extractive and the users are where that value is extracted, unfortunately. Will: Okay, and when it comes to running an ethical and sustainable business, what would you say has been your biggest struggle? Can you tell us a bit about how you’ve overcome it? Jon: I’m not sure we have overcome it yet. The biggest struggle is the advantage of having just profit as an objective is very clarifying. That’s a very powerful thing that allows the amount of focus and clarity that provides essentially decision-making if that’s all you’re trying to do. So, the challenge of running an ethical business, which I think is a worthy challenge, is how do you balance that? You have to succeed as a business, but we aren’t willing to sacrifice at all our mission and our values, so how do you balance that out? It’s not something you solve, it’s something that you grapple with. It feels like you are a voice inside the conscious of a human that’s trying to manage their way through its development rather than just a machine that you’re trying to optimize to crank out cash on the other side. It’s almost a different endeavour in quality but the challenge there is just having that same sharp focus and cohesion in terms of what you’re aiming at and how you aim to get there. Will: We were talking before about the type of companies that come on your platform, have you seen a trend at all in more environmentally friendly? Jon: Yes, particularly in fashion design and technology and actually food as well. There has been a lot more movement towards having sustainable components of either sustainable manufacturing and process to produce that good or goods that themselves are targeted at environmentally positive impacts. So, whether that’s like Nebbia, which is a showerhead that reduces water consumption by 70% or there have been conservation projects like Best in the Nest, which are endangered penguins’ homes, things like that. There are really weird, very interesting projects that have cropped up, Pleistocene Park is one of my favorites. It’s a father and son in Russia who are reintroducing wild herds into areas of the tundra that are basically unfreezing due to climate change which release a lot of methane gas and emissions. What they’ve learned is that back in previous eras of history there were woolly mammoths in these areas and those mammoths are like basically tamped down the tundra and kept it frozen longer, it had more resilience to warmer temperatures. So, they’re reintroducing large herd animals, try to compact the earth in these areas to reduce greenhouse gas emissions from unfreezing permafrost, it’s fascinating. So, we’re seeing projects like that as well, sustainable food systems are actually really big right now and alternative sources of protein, so we’ll see a lot of things made from grasshoppers and crickets. There’s a lot of exploration happening and a lot of innovation that’s happening is like, how can we create clothing, food, goods that are actually ethically made. A lot of recycled plastics, a lot of ocean plastics going into goods these days. Again, it’s something where you’ll see maybe sometimes larger companies play around with these concepts at the margins but almost as a branding gimmick and these entrepreneurs are starting their companies from that perspective, which is great. It’s something that I don’t think is facilitated very easily within the large corporate context. Will: It is really cool to see some of the projects that are coming out now. There’s a kid in California that has designed that collecting litter machine. Jon: Yes, the ocean cleanup project, yeah. I think that’s just getting underway if I recall correctly, I’m excited to see how that project goes, he’s got a lot to clean up. Will: What’s great is, you do see an awful lot of projects like that come out of the U.S. and we all know politically how it is currently but I put it in adverse comments because I genuinely don’t think it makes much difference and almost you’re seeing more environmentally friendly products coming out, that leads from seeing it from the outside. Jon: Yes. Certainly, entrepreneurs are starting to increasingly take up the mantle of that. A few months ago, we introduced a new section of project pages that allows creators to detail the environmental commitments that they’re making in their project. So, that touches on environmental manufacturing, sustainable materials, and recyclability, sustainable shipping, I’m trying to think of what the other ones are. Creating that structure allows everyone to see what incentivize creators to make those commitments because it adds differentiates projects and honestly creators in our system are constantly looking for ways to stand out more. So, making one of these commitments which are, say long-lasting design, reusability and recyclability, sustainable materials, environmentally friendly factories, and then sustainable fulfillment and distribution. Those are the five areas that we’ve carved out where creators are making commitments and how they’re producing their goods. Then we’ve created resources for creators to understand how to get started with those practices and incorporating them into their products and businesses as they get started. Our goal there is to really get entrepreneurs and founders to incorporate these values and practices from the beginning of their product development process and the beginning of their businesses. It’s much better to do that than to tack them on later, but there are not many resources for entrepreneurs out there. I think New York’s got one for their businesses. I live in Scotland and we’ve got Scotland can be and because we are the first country in the world to have a form of B Corp assessment on companies, which is fascinating, and it will be interesting to see where it goes with that. I’ve been talking to investors, I have been talking to people in government and they’ve already six months in have noticed a change in new companies and there are more social purpose-driven companies that are being taken through, just through the advertising of why don’t you take this assessment? It doesn’t cost anything, just go through it and you can see where you stand and whether you can be more purpose-driven. Jon: Yeah, that’s great. It seemed like the momentum is shifting quite rapidly, at least in the United States. The momentum towards actually solving this problem and finding more sustainable ways to conduct our lives is rapidly improving which is great. We have a long way to go to really fundamentally tackle the challenges but over the last year, there’s been a market shift in the way people are recognizing and starting to tackle the fundamental issues about the unsustainable ways that we currently live, consume and produce goods. Will: Are the majority of your companies from the U.S. or they are just from all over the world? Will: That’s really good to hear, that you’ve seen a shift over the last year, particularly, the biggest share is in the U.S. as well, so that’s really good to hear because you do worry and you do think but I try and tell people don’t worry too much, honestly, don’t worry. Jon: You have to strike the right balance, they’ll worry somewhat but you can’t get paralyzed by it. It’s hard to calibrate that level of concern in this society. Will: So, have you got any advice on learning that you can give to our listeners? You’ve seen so many projects that have been started, what would be your advice if you were to start a project up and potentially launch on Kickstarter or potentially not, just starting up a company, what sort of things you would do to put in place? Jon: I think as a founder when you’re starting something it’s really important to get the foundation of what you’re doing, what your values are and very clearly state and stick by what those values are from the beginning. That makes conversations with investors or potential customers or wherever you’re going to grow your business, those values are what carry you through and shape that conversation. I think right now it is actually easier, at least in our world, it’s an easier path if you’re taking environmental values and consideration from the beginning. It’s what so many people want to see out of the businesses that they engage with and that clamor for those values is only going to get stronger. So, I think the practice there is, do your research on how you can build an environmentally sustainable company because it’s going to get harder and harder for non-environmentally stable companies to succeed. Right now, there’s a competitive advantage in being environmentally sustainable, bake those values and those practices into your company from the beginning because it’s easier to do that than tacking them on later. Find a way to tell the story of your company when you’re going out there either to raise money from investors or to launch the product or come to Kickstarter. Find a way to tell that story in a way that will be authentic and resonate with people and allows them to not just engage with whatever you’re doing from a business perspective, but also from a values perspective where they feel aligned with those values because that’s a far more powerful relationship. In our world, we see that the power of that relationship that’s really what drives success for campaigns, both in the short-term and the long-term, it’s a much stronger relationship. Jon: kickstarter.com is a good place to start, if you go to kickstarter.com/environment, you’ll also see our guide to how to incorporate sustainable practices into your product development process for people that are making physical goods, so that’s also an interesting place to look. Will: Brilliant. Jon, thank you so much for today. Thank you for being on and sharing your knowledge on where companies are going. It’s brilliant because you come away from this positive going, more and more companies are being more environmental, brilliant, that’s all we care about. Jon: That’s what we want, it’s what we desperately need. Will: So, thank you very much for sharing that.